Reception starts at 11:00 a.m.
Business Awards Luncheon begins at 12:00 p.m. The following categories will be chosen at the 2017 Anaheim Business Awards, please click on links to see criteria and find questions for the Business Awards Application. The Anaheim Business Awards Luncheon will be the premier professional development and relationship building event of the year. 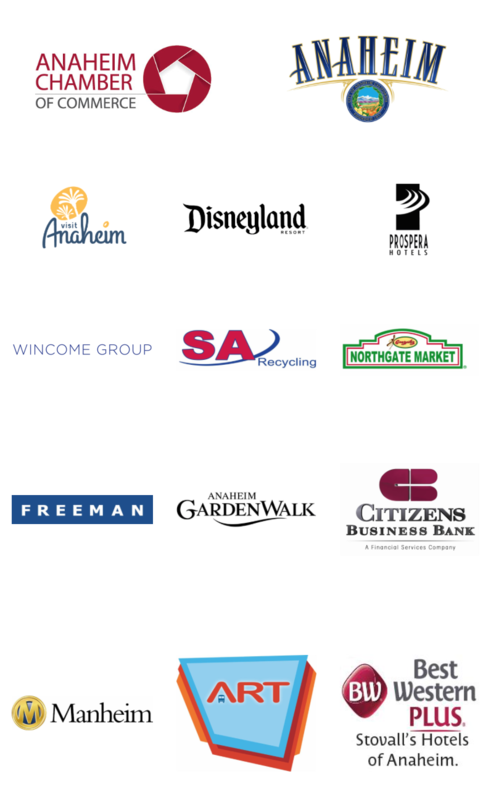 Each year, the Anaheim Chamber of Commerce recognizes and acknowledges the level of commitment and dedication of several local businesses in our community. Members of the Anaheim Chamber of Commerce may nominate their colleagues or nominate their own company for consideration. 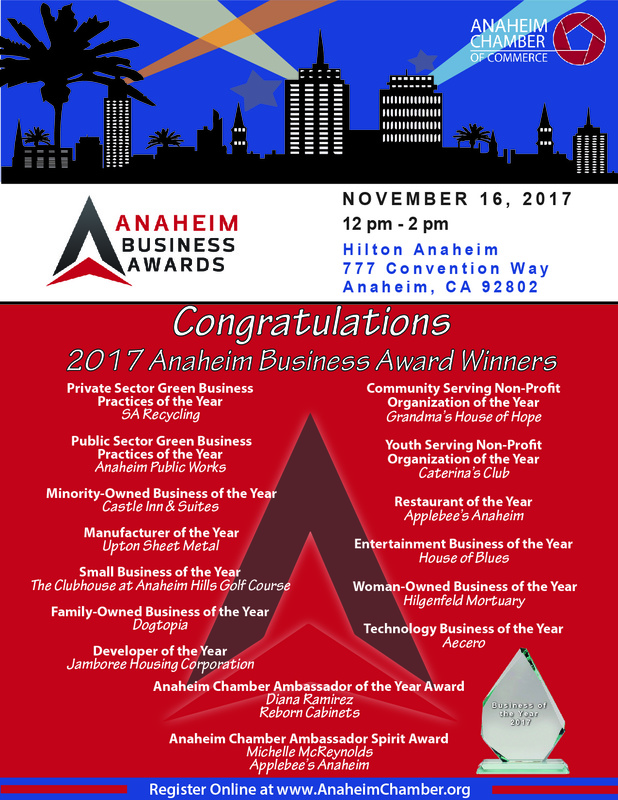 This year's Anaheim Business Awards Luncheon will be held on November 16, 2017. The Anaheim Chamber of Commerce is excited to recognize those businesses and individuals that are exceptional role models for our community. This year, the Chamber is proud to recognize the honorees in 13 different categories, from 'Small Business of the Year' to 'Green Business of the Year', we applaud these businesses that continue to build a strong local economy and continue creating jobs in our community. It is worth noting that the Business Awards Luncheon is more than an opportunity to recognize Anaheim’s best and brightest. Your participation and support of this year’s event directly helps the Chamber achieve our initiatives to build a strong local economy, promote Anaheim, build business-to-business relationships, represent business interests in government, and provide political action for the business community. We appreciate your support of the Anaheim Chamber of Commerce, and ask our community to continue to support our local businesses.